Both portraits are amazing. But that top one I just love. Love the bag in the first photo! beautiful girls, love first capture! They makes my heart beating. 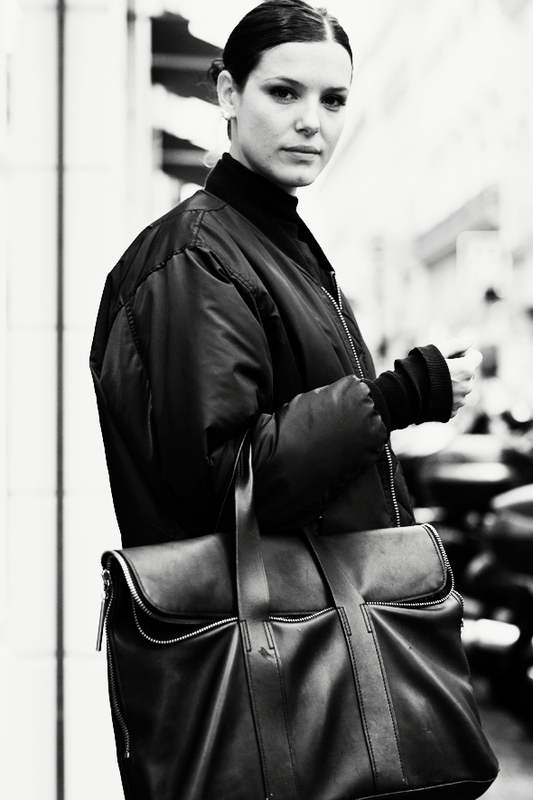 Parisian chic in black and white. Stunning! I love the first portrait, she has a great style, love her bomber jacket, hair and bag! You love the first girl because she is beautiful-the second is simply not..no matter how many jackets she wears she will look awful.Why not tell the truth? Gorgeous shots. Love the petite girls offset with the voluminous jackets. So flawless. I love black and white photography. Beautiful shots Scott! I love how bold & powerful yet elegant they look!